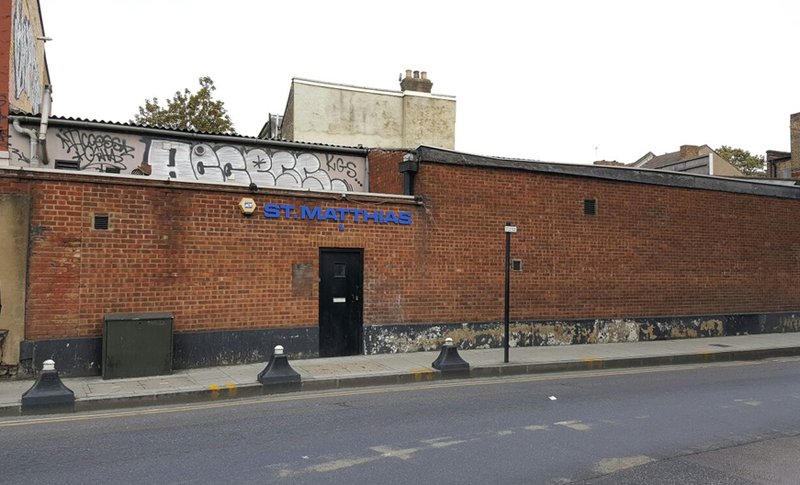 East Eight and London Central Developments (LCD) have exchanged on this prominent site in the lively area of Dalston, Hackney. The building has been the home of the St. Matthias Boys Club for the past 49 years. East Eight and LCD will be working with the club to develop the site and secure their future in Dalston. The proposal is to rebuild the outdated site to accommodate a 4-5 storey building of architectural merit. The plans incorporate an extended basement area for The St. Matthias Club while maximising commercial space on the ground floor. Based on the surrounding architecture and successful discussions with planners, the developers believe they can achieve in the region of 10,000 sqft of residential space, enough for at least 9 residential units plus amenity space. Hackney, and particularly Dalston, has experienced rapid growth over the past couple of years. Spurred by the 2012 Olympics, improved transport links with the arrival of Crossrail and better quality housing stock, more and more businesses have moved into the area. House prices in Hackney have outgrown every other area in the UK with an increase of 939% over the past 20 years. Despite the cooling off in the housing market, prices in Hackney continue to remain buoyant. We are currently working on the pre-planning application with the goal of submitting this within 8 weeks. Some of these documents are available to download in the documents area for this opportunity.